It’s a wicked world out there. Drive down any highway, and your eyes will be assaulted by scantily clad women on billboards. Sit down to watch a football game, and you’ll want to change the channel when the commercials come on. And we haven’t even mentioned the Internet or reality television! It’s not easy remaining moral when the world is so immoral. But Chuck Swindoll offers help in this series of four timely and practical messages on sexual purity. It’s a series for the married or single, man or woman. It’s a series for anyone who wants to learn how to keep from falling into immorality and for those who have already fallen. It’s a series for all who desire to walk with God without shame. 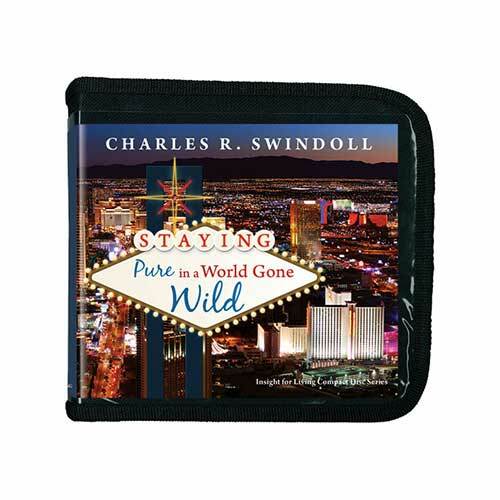 Copyright © 1974, 1975, 1990, 2004, ℗ 2005, 2011 by Charles R. Swindoll, Inc. All rights are reserved worldwide.